Blind Spot Assist, Electronic Trunk Closer, HANDS-FREE ACCESS, HANDS-FREE Comfort Package, Heated Front Seats, Heated Steering Wheel, Heating for Multifunction Steering Wheel, Inductive Wireless Charging w/NFC Pairing, KEYLESS GO®, LED Logo Projectors (Set of 2), Live Traffic, Premium Package, Rear Cross Traffic Alert, SD-Card Navigation Pre-Wiring, SiriusXM Satellite Radio. Recent Arrival! 22/33 City/Highway MPGBlind Spot Assist, Electronic Trunk Closer, HANDS-FREE ACCESS, HANDS-FREE Comfort Package, Heated Front Seats, Heated Steering Wheel, Heating for Multifunction Steering Wheel, Inductive Wireless Charging w/NFC Pairing, KEYLESS GO®, LED Logo Projectors (Set of 2), Live Traffic, Premium Package, Rear Cross Traffic Alert, SD-Card Navigation Pre-Wiring, SiriusXM Satellite Radio. Blind Spot Assist, Electronic Trunk Closer, HANDS-FREE ACCESS, HANDS-FREE Comfort Package, Heated Front Seats, Heated Steering Wheel, Heating for Multifunction Steering Wheel, KEYLESS-GO, Live Traffic, Premium Package, Rear Cross Traffic Alert, SD-Card Navigation Pre-Wiring, SiriusXM Satellite Radio, Wheels: 17" Twin 5-Spoke. Recent Arrival! 22/33 City/Highway MPGBlind Spot Assist, Electronic Trunk Closer, HANDS-FREE ACCESS, HANDS-FREE Comfort Package, Heated Front Seats, Heated Steering Wheel, Heating for Multifunction Steering Wheel, KEYLESS-GO, Live Traffic, Premium Package, Rear Cross Traffic Alert, SD-Card Navigation Pre-Wiring, SiriusXM Satellite Radio, Wheels: 17" Twin 5-Spoke. 10.25" Center Display, Electronic Trunk Closer, HANDS-FREE ACCESS, HANDS-FREE Comfort Package, Heated Front Seats, Heated Steering Wheel, Heating for Multifunction Steering Wheel, Inductive Wireless Charging w/NFC Pairing, KEYLESS GO®, Premium Package, SiriusXM Satellite Radio. Recent Arrival! 22/33 City/Highway MPG10.25" Center Display, Electronic Trunk Closer, HANDS-FREE ACCESS, HANDS-FREE Comfort Package, Heated Front Seats, Heated Steering Wheel, Heating for Multifunction Steering Wheel, Inductive Wireless Charging w/NFC Pairing, KEYLESS GO®, Premium Package, SiriusXM Satellite Radio. Android Auto, Apple CarPlay, Blind Spot Assist, Burmester Surround Sound System, Heated Front Seats, Heated Steering Wheel, KEYLESS GO®, Panorama Sunroof, Premium Package, Rear Spoiler, SD-Card Navigation Pre-Wiring, SiriusXM Satellite Radio, Smartphone Integration Package. Recent Arrival! 23/32 City/Highway MPGAndroid Auto, Apple CarPlay, Blind Spot Assist, Burmester Surround Sound System, Heated Front Seats, Heated Steering Wheel, KEYLESS GO®, Panorama Sunroof, Premium Package, Rear Spoiler, SD-Card Navigation Pre-Wiring, SiriusXM Satellite Radio, Smartphone Integration Package. Blind Spot Assist, Burmester Surround Sound System, Electronic Trunk Closer, HANDS-FREE ACCESS, HANDS-FREE Comfort Package, Heated Front Seats, Heated Steering Wheel, Heating for Multifunction Steering Wheel, Illuminated Star, Inductive Wireless Charging w/NFC Pairing, KEYLESS GO®, Live Traffic, Premium Package, Rear Cross Traffic Alert, SD-Card Navigation Pre-Wiring, SiriusXM Satellite Radio. Recent Arrival! 22/33 City/Highway MPGBlind Spot Assist, Burmester Surround Sound System, Electronic Trunk Closer, HANDS-FREE ACCESS, HANDS-FREE Comfort Package, Heated Front Seats, Heated Steering Wheel, Heating for Multifunction Steering Wheel, Illuminated Star, Inductive Wireless Charging w/NFC Pairing, KEYLESS GO®, Live Traffic, Premium Package, Rear Cross Traffic Alert, SD-Card Navigation Pre-Wiring, SiriusXM Satellite Radio. 10.25" Center Display, 12.3" Digital Instrument Cluster, 64-Color Ambient Lighting, Blind Spot Assist, Heated Front Seats, Heated Steering Wheel, Heating for Multifunction Steering Wheel, KEYLESS GO®, Live Traffic, Rear Cross Traffic Alert, SD-Card Navigation Pre-Wiring. Recent Arrival! 22/33 City/Highway MPG10.25" Center Display, 12.3" Digital Instrument Cluster, 64-Color Ambient Lighting, Blind Spot Assist, Heated Front Seats, Heated Steering Wheel, Heating for Multifunction Steering Wheel, KEYLESS GO®, Live Traffic, Rear Cross Traffic Alert, SD-Card Navigation Pre-Wiring. Blind Spot Assist, Burmester Surround Sound System, Electronic Trunk Closer, HANDS-FREE ACCESS, HANDS-FREE Comfort Package, Heated Front Seats, Heated Steering Wheel, Illuminated Star, KEYLESS GO®, Live Traffic, Panorama Sunroof, Premium Package, Rear Cross Traffic Alert, SD-Card Navigation Pre-Wiring, SiriusXM Satellite Radio. Recent Arrival! 22/33 City/Highway MPGBlind Spot Assist, Burmester Surround Sound System, Electronic Trunk Closer, HANDS-FREE ACCESS, HANDS-FREE Comfort Package, Heated Front Seats, Heated Steering Wheel, Illuminated Star, KEYLESS GO®, Live Traffic, Panorama Sunroof, Premium Package, Rear Cross Traffic Alert, SD-Card Navigation Pre-Wiring, SiriusXM Satellite Radio. Blind Spot Assist, Burmester Surround Sound System, Electronic Trunk Closer, HANDS-FREE ACCESS, HANDS-FREE Comfort Package, Heated Front Seats, Heated Steering Wheel, Illuminated Star, KEYLESS GO®, LED Logo Projectors (Set of 2), Live Traffic, Panorama Sunroof, Premium Package, Rear Cross Traffic Alert, SD-Card Navigation Pre-Wiring, SiriusXM Satellite Radio. Recent Arrival! 22/33 City/Highway MPGBlind Spot Assist, Burmester Surround Sound System, Electronic Trunk Closer, HANDS-FREE ACCESS, HANDS-FREE Comfort Package, Heated Front Seats, Heated Steering Wheel, Illuminated Star, KEYLESS GO®, LED Logo Projectors (Set of 2), Live Traffic, Panorama Sunroof, Premium Package, Rear Cross Traffic Alert, SD-Card Navigation Pre-Wiring, SiriusXM Satellite Radio. 10.25" Center Display, Blind Spot Assist, COMAND® Navigation w/Voice Control, Electronic Trunk Closer, HANDS-FREE ACCESS, HANDS-FREE Comfort Package, Heated Front Seats, Heated Steering Wheel, Heating for Multifunction Steering Wheel, KEYLESS GO®, Live Traffic, Multimedia Package, Premium Package, Rear Cross Traffic Alert, SiriusXM Satellite Radio, Touchpad. Recent Arrival! 22/33 City/Highway MPG10.25" Center Display, Blind Spot Assist, COMAND® Navigation w/Voice Control, Electronic Trunk Closer, HANDS-FREE ACCESS, HANDS-FREE Comfort Package, Heated Front Seats, Heated Steering Wheel, Heating for Multifunction Steering Wheel, KEYLESS GO®, Live Traffic, Multimedia Package, Premium Package, Rear Cross Traffic Alert, SiriusXM Satellite Radio, Touchpad. 10.25" Center Display, 64-Color Ambient Lighting, Blind Spot Assist, Burmester Surround Sound System, Electronic Trunk Closer, HANDS-FREE ACCESS, Heated Front Seats, Heated Steering Wheel, Illuminated Star, Inductive Wireless Charging w/NFC Pairing, KEYLESS GO®, Parking Assistance Package, PARKTRONIC w/Active Parking Assist, Premium Package, SD-Card Navigation Pre-Wiring, SiriusXM Satellite Radio, Surround View System. Recent Arrival! 22/33 City/Highway MPG10.25" Center Display, 64-Color Ambient Lighting, Blind Spot Assist, Burmester Surround Sound System, Electronic Trunk Closer, HANDS-FREE ACCESS, Heated Front Seats, Heated Steering Wheel, Illuminated Star, Inductive Wireless Charging w/NFC Pairing, KEYLESS GO®, Parking Assistance Package, PARKTRONIC w/Active Parking Assist, Premium Package, SD-Card Navigation Pre-Wiring, SiriusXM Satellite Radio, Surround View System. 10.25" Center Display, 12.3" Digital Instrument Cluster, AMG® Line, Blind Spot Assist, Body Color Rear Spoiler, Braking System w/Perforated Front Discs, Brushed Aluminum Sport Pedals w/Rubber Studs, Burmester Surround Sound System, Diamond Grille, Electronic Trunk Closer, HANDS-FREE ACCESS, HANDS-FREE Comfort Package, Heated Front Seats, KEYLESS GO®, Live Traffic, Multifunction Sport Steering Wheel, Night Package, Premium Package, Rear Cross Traffic Alert, SD-Card Navigation Pre-Wiring, SiriusXM Satellite Radio, Sport Suspension w/Sport Steering System. Recent Arrival! 22/33 City/Highway MPG10.25" Center Display, 12.3" Digital Instrument Cluster, AMG® Line, Blind Spot Assist, Body Color Rear Spoiler, Braking System w/Perforated Front Discs, Brushed Aluminum Sport Pedals w/Rubber Studs, Burmester Surround Sound System, Diamond Grille, Electronic Trunk Closer, HANDS-FREE ACCESS, HANDS-FREE Comfort Package, Heated Front Seats, KEYLESS GO®, Live Traffic, Multifunction Sport Steering Wheel, Night Package, Premium Package, Rear Cross Traffic Alert, SD-Card Navigation Pre-Wiring, SiriusXM Satellite Radio, Sport Suspension w/Sport Steering System. 10.25" Center Display, AMG Line, Blind Spot Assist, Body Color Rear Spoiler, Braking System w/Perforated Front Discs, Brushed Aluminum Sport Pedals w/Rubber Studs, Burmester Surround Sound System, Diamond Grille, Electronic Trunk Closer, HANDS-FREE ACCESS, Heated Front Seats, Illuminated Star, Inductive Wireless Charging w/NFC Pairing, KEYLESS-GO, LED Logo Projectors (Set of 2), Live Traffic, Multifunction Sport Steering Wheel, Night Package, Panorama Sunroof, Premium Package, Rear Cross Traffic Alert, SD-Card Navigation Pre-Wiring, SiriusXM Satellite Radio, Sport Suspension w/Sport Steering System, Wheels: 19" AMG® Multispoke w/Black Accents. Recent Arrival! 22/33 City/Highway MPG10.25" Center Display, AMG Line, Blind Spot Assist, Body Color Rear Spoiler, Braking System w/Perforated Front Discs, Brushed Aluminum Sport Pedals w/Rubber Studs, Burmester Surround Sound System, Diamond Grille, Electronic Trunk Closer, HANDS-FREE ACCESS, Heated Front Seats, Illuminated Star, Inductive Wireless Charging w/NFC Pairing, KEYLESS-GO, LED Logo Projectors (Set of 2), Live Traffic, Multifunction Sport Steering Wheel, Night Package, Panorama Sunroof, Premium Package, Rear Cross Traffic Alert, SD-Card Navigation Pre-Wiring, SiriusXM Satellite Radio, Sport Suspension w/Sport Steering System, Wheels: 19" AMG® Multispoke w/Black Accents. When you’re in the market for a new vehicle, it’s practically impossible to ignore the intrinsic allure of a luxury sedan. When you explore the Mercedes-Benz lineup at our Alexandria showroom near Washington DC, you’ll find that these sedans embrace® that timeless appeal with a modern twist. The latest Mercedes-Benz sedans perfectly fuse classic refinement and modern style. With richly appointed cabins, innovative amenities, and the finely tuned handling you love, each Mercedes-Benz sedan in our showroom is designed to put you in the lap of luxury. Once you’ve taken a test drive in the sedan that’s captured your attention, we know you’ll be eager to make it yours. 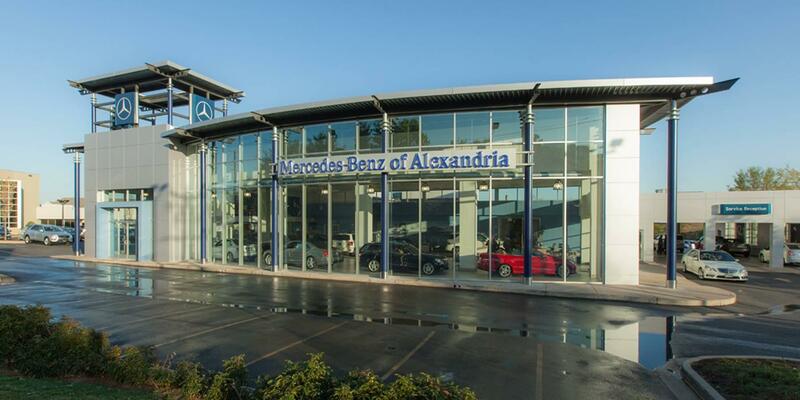 To help turn that dream into a reality, our Alexandria showroom serving Washington DC is always offering Mercedes-Benz specials on many of the latest sedan. Be sure to ask our team which offers can be of the most benefit to you. For more information on the latest Mercedes-Benz vehicles, including our favorite luxury sedans, don’t hesitate to contact our team by calling (703) 341-2100 today!